This week casual co-host Sean Carroll returned to the show and we awkwardly discussed his nicknames, summer plans, Johnny blabbed for one final time about the ECMAs and we caught up one some of the latest new in the world of metal! 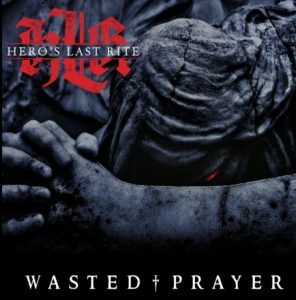 Fredericton metal titans Hero’s Last Rite recently released their thunderous new album “Wasted Prayer”, so we played their song Devilfinger in the spirit of their new tunes! Next week! Johnny plays some backlogged interviews and some awesome tunes to go along with it! Next Monday 10-11:30pm on CHSR!